Settle into your own private sanctuary, complete with cutting-edge technology, designer amenities and a generous floor plan opening onto a private terrace overlooking the sea. 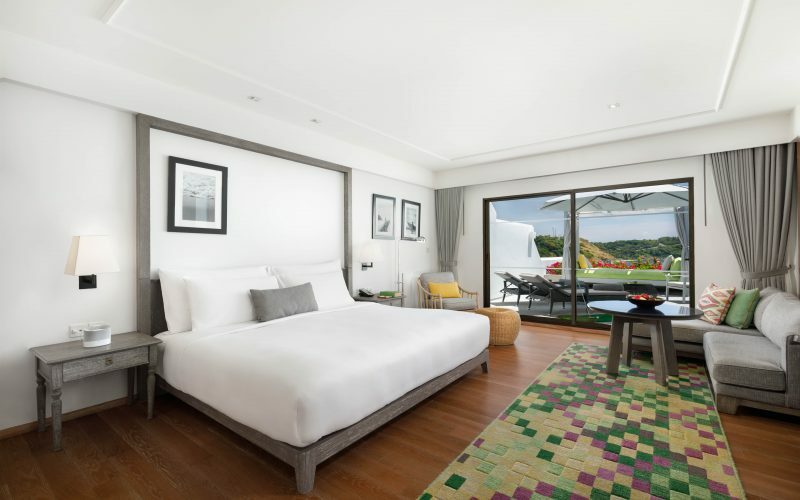 Most of The Nai Harn’s luxurious guestrooms and suites features panoramic views over the beach and bay, dotted with sailing boats and islands. 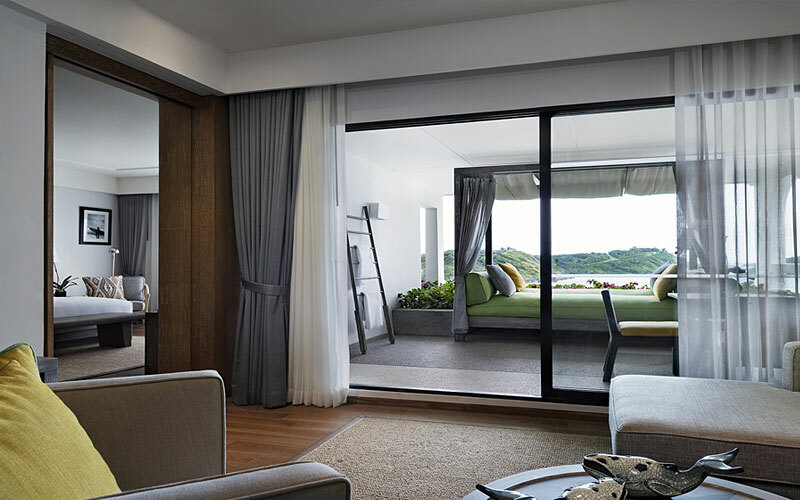 Designed and laid out to showcase this glorious view, rooms feature a fresh colour palette with minimalist design – clean lines,warm wood tones and richly textured carpets. Each guestroom is an opulent refuge by the sea, boasting contemporary design, plush fabrics and luxurious, high-tech amenities such as interactive TVs, built-in USB chargers and Wi-Fi. 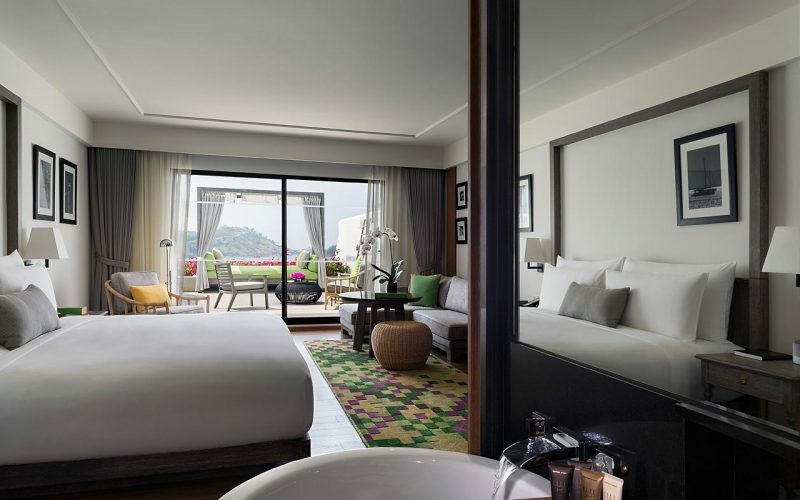 The expansive rooms also showcase views of Promthep Cape, with thoughtfully laid out floor plans leading to spacious terraces equipped—in most cases—with canopied, four-poster daybeds. 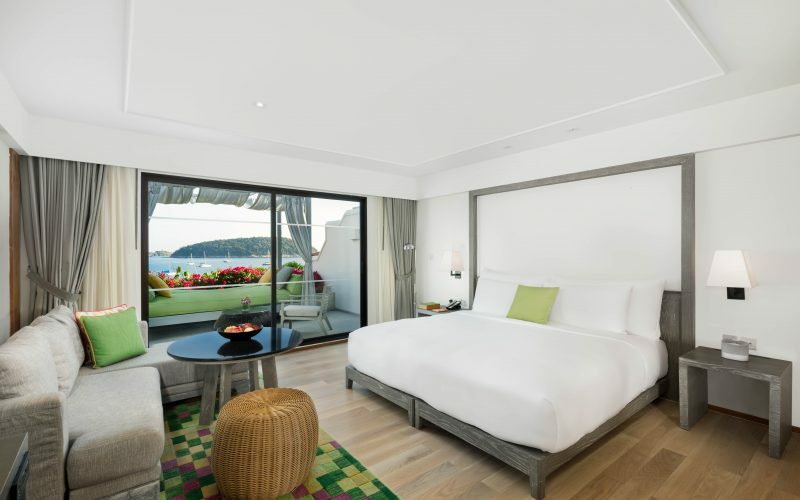 Located on the top two levels of the resort (the 8th and 9th floors), the 42sqm Deluxe Ocean View Rooms feature an oversized king bed and striking interior design in clean lines, warm wood tones and richly textured carpets. Our stunning 81sqm Grand Ocean View Rooms occupy the 1st to 7th floors of the resort. These guestrooms are equipped with an oversized king bed fitted with exquisite 300-thread-count cotton linens. The Family Wing is a cluster of 4 Grand Ocean View rooms set around a private, covered outdoor terrace with its own plunge pool. 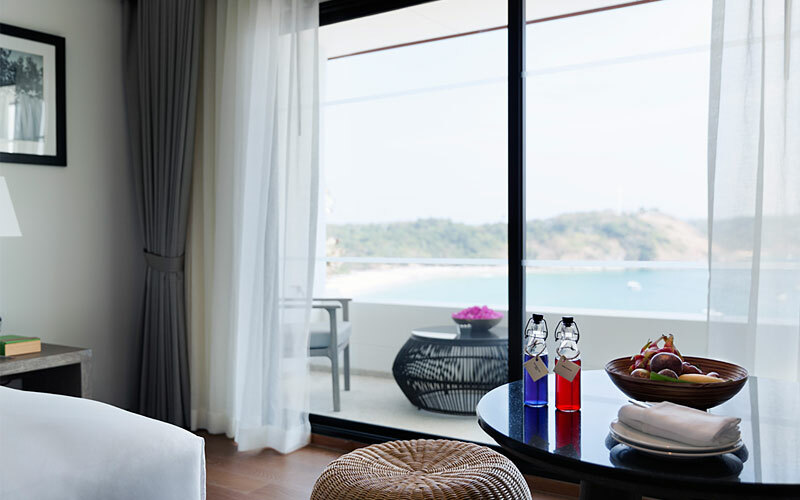 Located on the 5th and 8th floors, these 85sqm suites command sweeping views of Nai Harn Beach and Bay beneath Phuket's famous Promthep Cape viewpoint. Situated at the finest locations at the resort, these four luxurious suites offer an average of 111sqm. Each suite features one spacious bedroom and the option to enlarge the suite by connecting to an adjoining room. 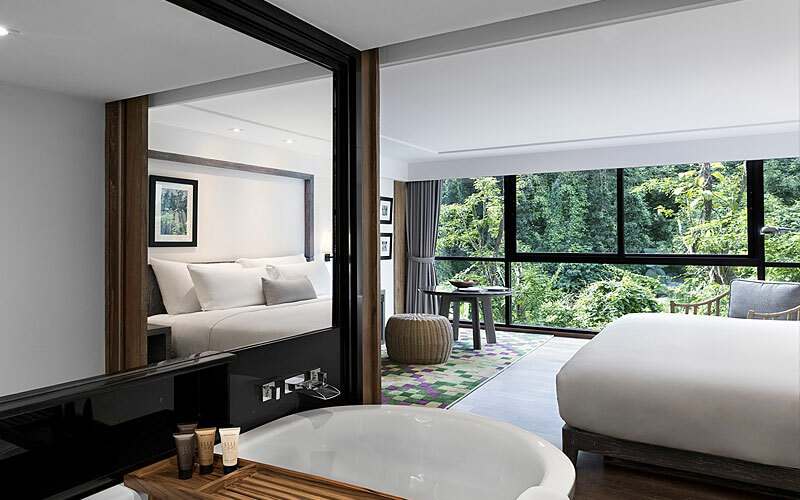 Surrounded by lush forest and set on the back of the hotel this 42SQM Mountain View Room features a nice and relaxing view on the greens of the mountain, an oversized king bed and design of warm wood tones and richly textured carpets.